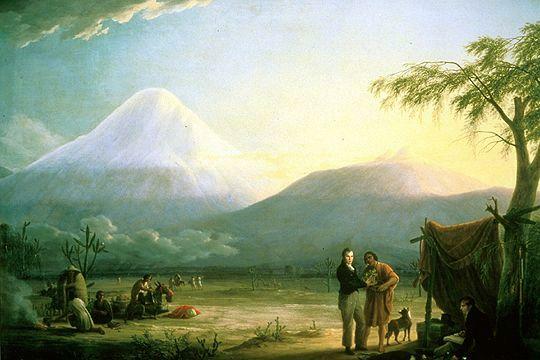 Buckle up and prepare yourself for Andrea Wulf’s hugely enjoyable voyage of discovery accompanying the extraordinary Alexander von Humboldt on his pioneering adventures into 19th century wilderness. Humboldt was, we are told, one of the last great polymaths. He spoke several languages, published extensively, painted, engaged in politics and accomplished a succession of scientific breakthroughs. Considered the most famous man of his time after Napoleon he talked and lectured incessantly holding entire rooms captive for hours. He tended to live beyond his means in Paris, Berlin and London. 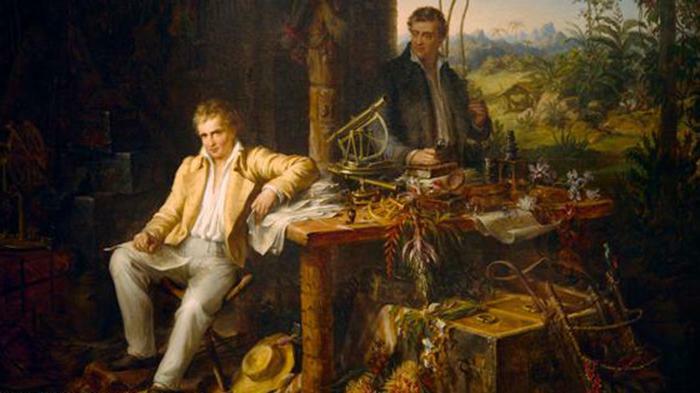 First and foremost though, he adored scientific field work, particularly botany and geology although his masterstroke was to see “this great chain of causes and effects,” that connect diverse natural phenomena and to conceive of the concept of the web of life. This rip-roaring yarn binds us to Humboldt’s enthusiasm and ecstasies as he bounds over three continents returning with chests packed full of wonders to delight various monarchs. Wulf’s vivid prose puts us there, in the enthralled courts and we, like Goethe, Darwin and Muir cannot help but adore our brash, brave, dashing but ultimately humane hero as he draws forth his seminal magnum opus - the multi-volume treatise, Kosmos. Perhaps the first popular science book that inspired a global audience to seek a direct and intimate connections with wild nature as a basis to further our knowledge. Wulf laments that a man of such extraordinary talent, accomplishment and influence could have drifted out of the collective consciousness of the English speaking world. Her fine book should rightly bring him back and not a moment too soon. 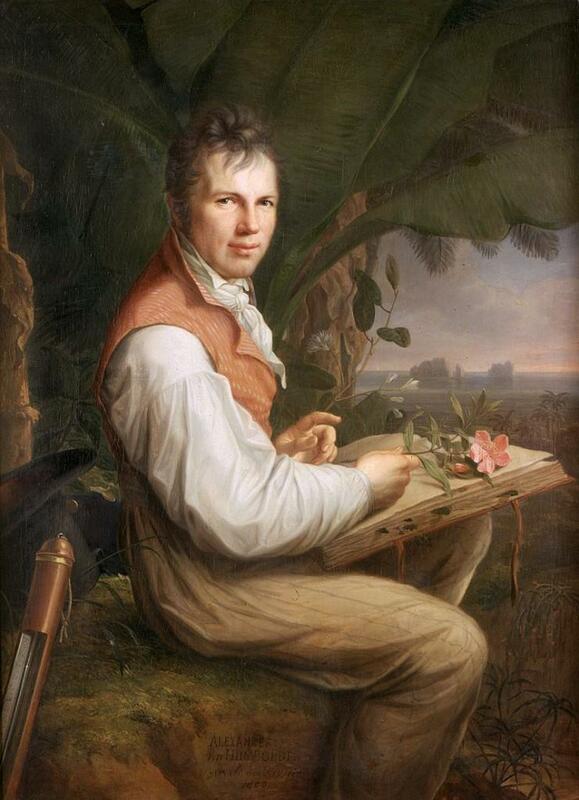 I was profoundly struck that if Humboldt returned on his adventure today his heart would be broken by the devastation that has ramped up by many orders of magnitude since his grave warnings. The natural wonders he describes have been decimated and today’s political class, willfully ignoring the carnage, still subsidize extractive industries ensuring the global economy is a ceaseless war against nature. Our world today contains a fraction of the wildlife he was immersed in. We need a Humboldtian perspective more today than ever: an appreciation that all things are connected and that harm caused in one place always has implications elsewhere and for the whole. However, surely this hero’s greatest gift was his exuberant and infectious love affair with the natural world. He popularized scientific discovery and adventure travel whilst simultaneously kick-starting romantic philosophy. He didn’t just want to know nature but to feel her too. His passionate relationship with the natural world is a welcome antidote to the cold machine mind that still drives today’s remorseless economic engine. Perhaps these ideas can help to stimulate alternatives - whole-system thinking, compassion for all beings and the pursuit of endeavours that rejuvenate the land and wild places.